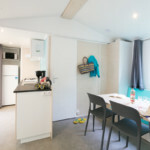 The campsite disposes of 13 mobile homes IRM of 28 m². 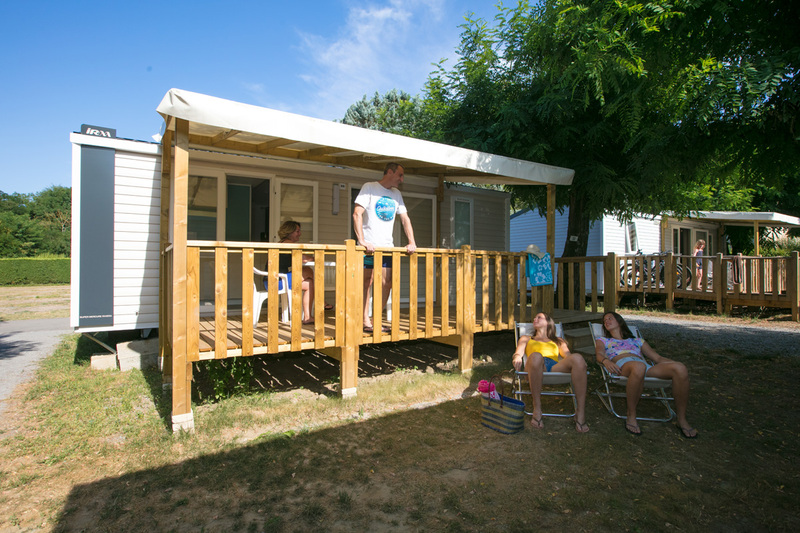 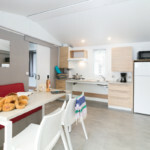 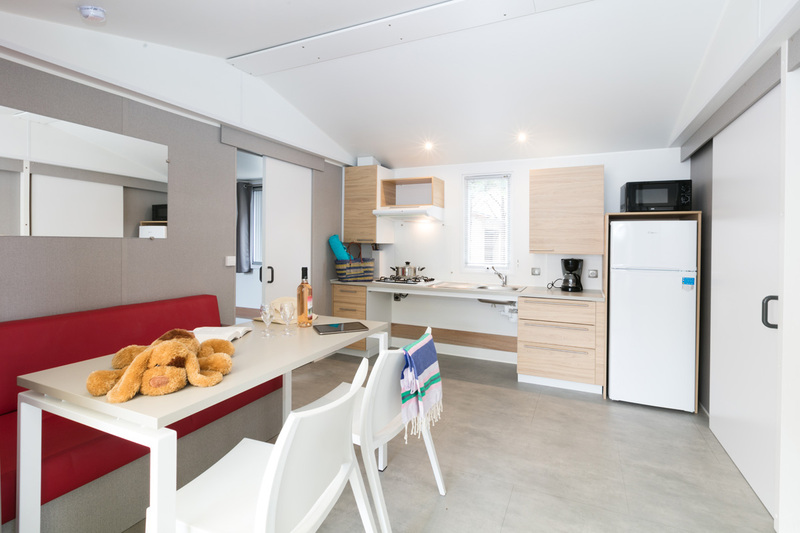 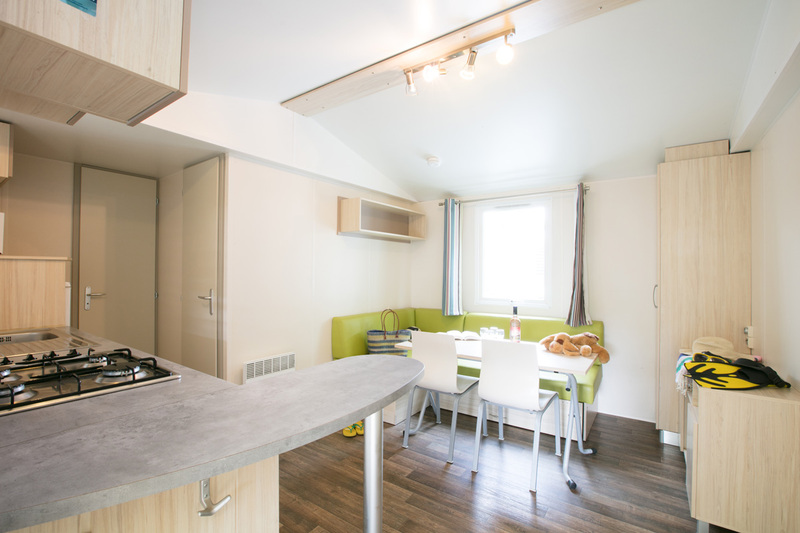 The mobile homes allow you to spend cozy holidays with your family and friends in the southern Ardèche. 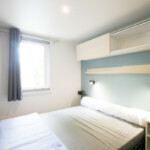 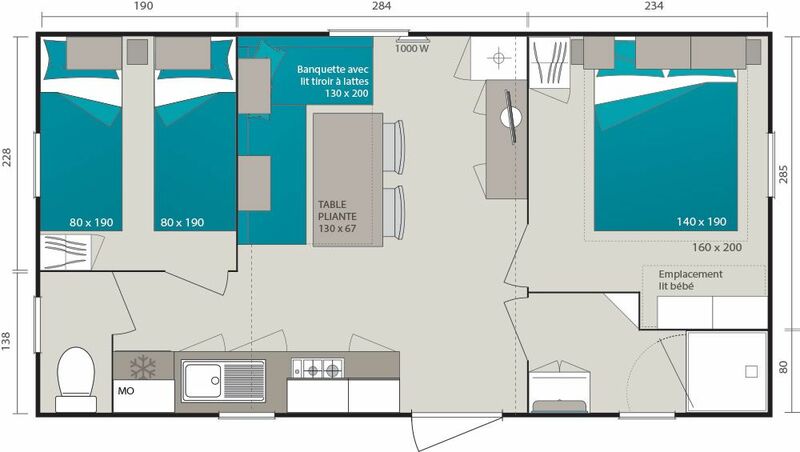 1 bedroom with a bed 2 persons (140×190). 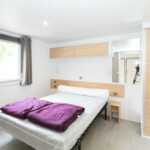 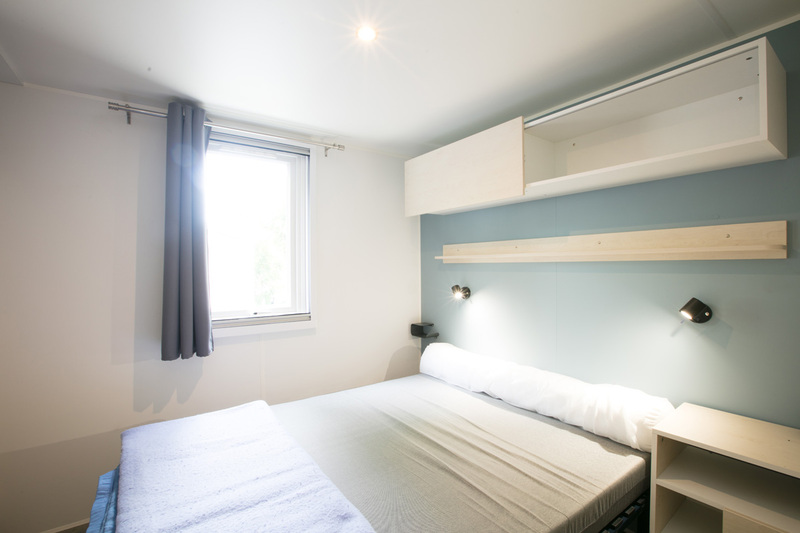 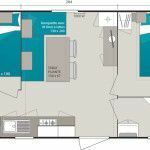 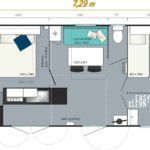 1 bedroom with 2 separate beds (80×190). 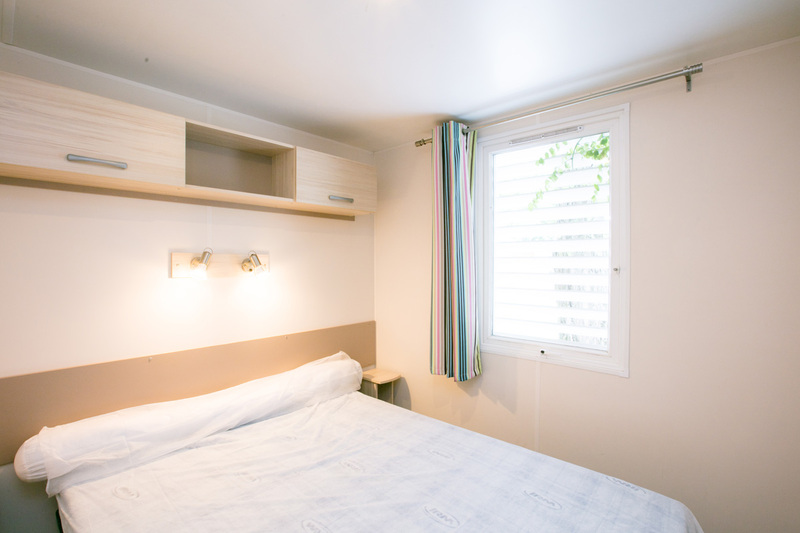 Blanket, pillow, matras protection, closet in each room. 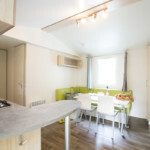 1 living room area with a convertible bench, a folding table and several closets. 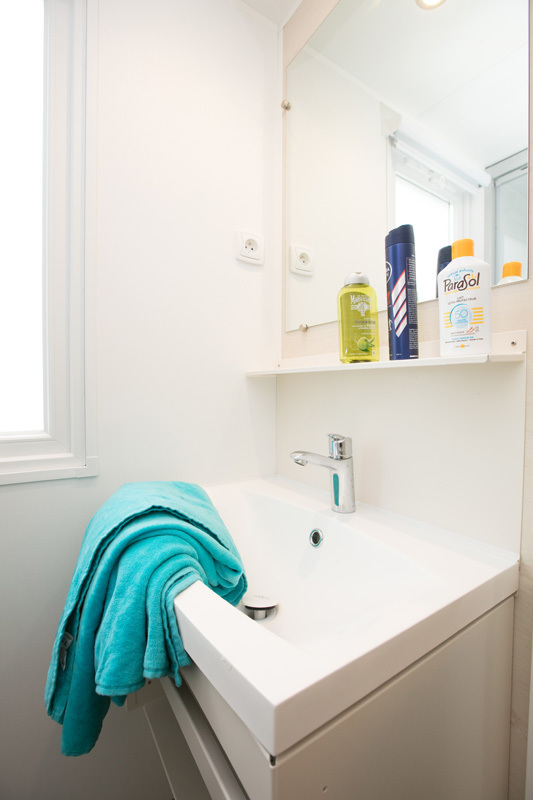 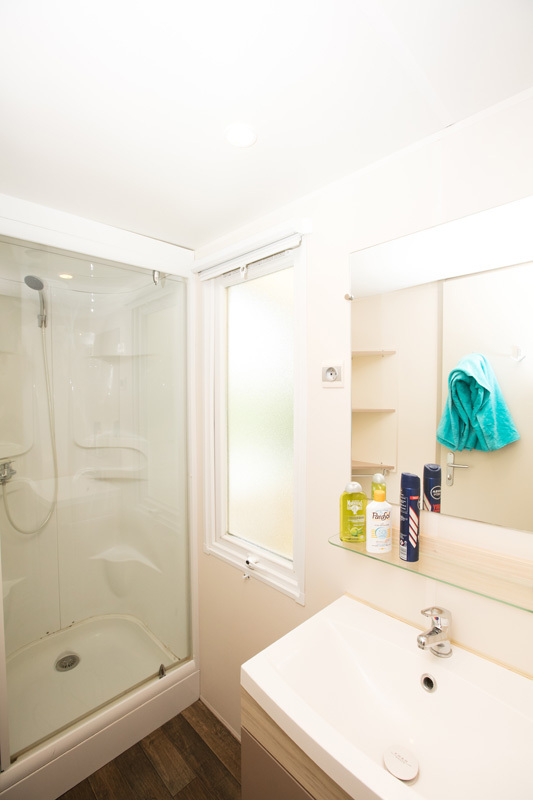 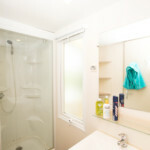 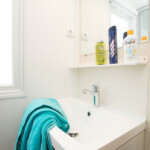 1 bathroom with a shower, a bathroom sink and a closet. 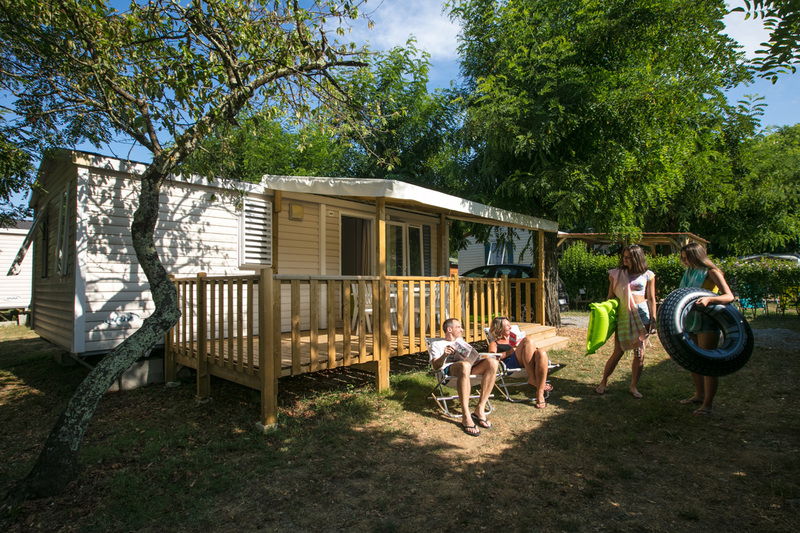 1 covered wooden terrace equipped with garden furniture with a table and 6 chairs, 2 deckchairs and 1 parasol. 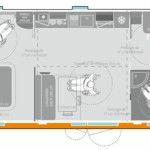 You can park your vehicle in front of the mobile home. 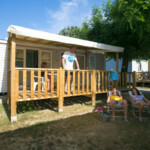 The campsite disposes of 1 PRM mobile home O’Hara of 30,5 m². 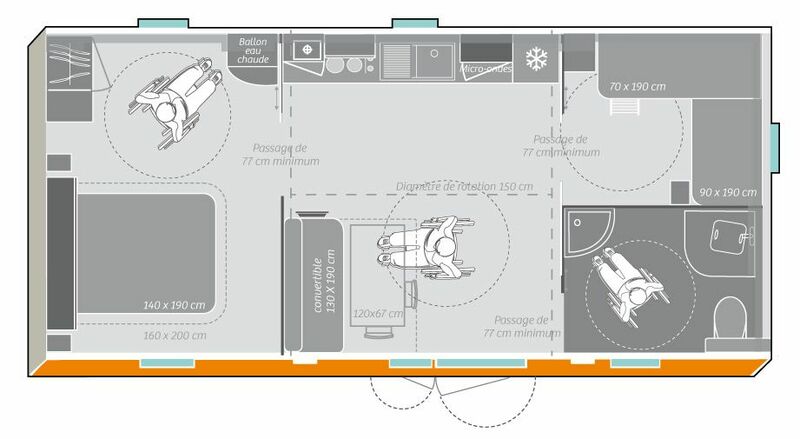 The mobile home has a capacity of 6 people. 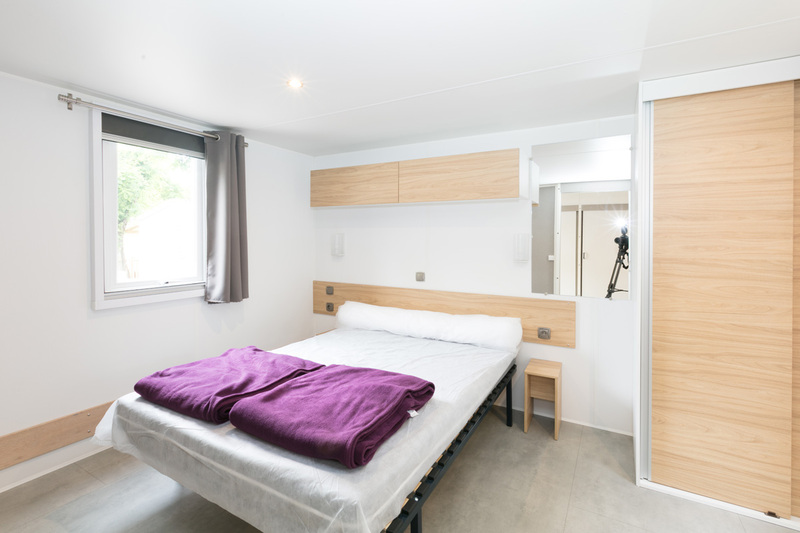 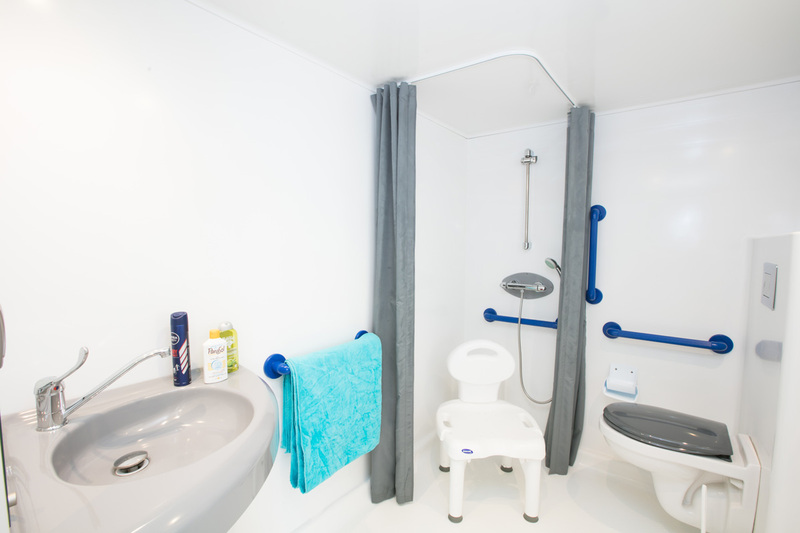 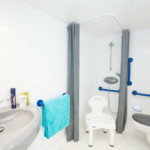 Inside you can find all the equipment that you can find in a standard mobile home with a layout adapted for people with reduced mobility. 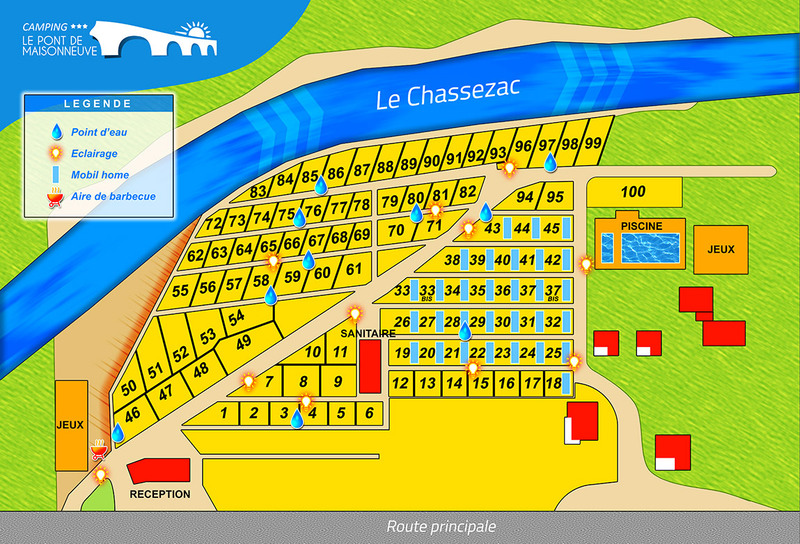 Outside you have a terrace with an acces ramp. 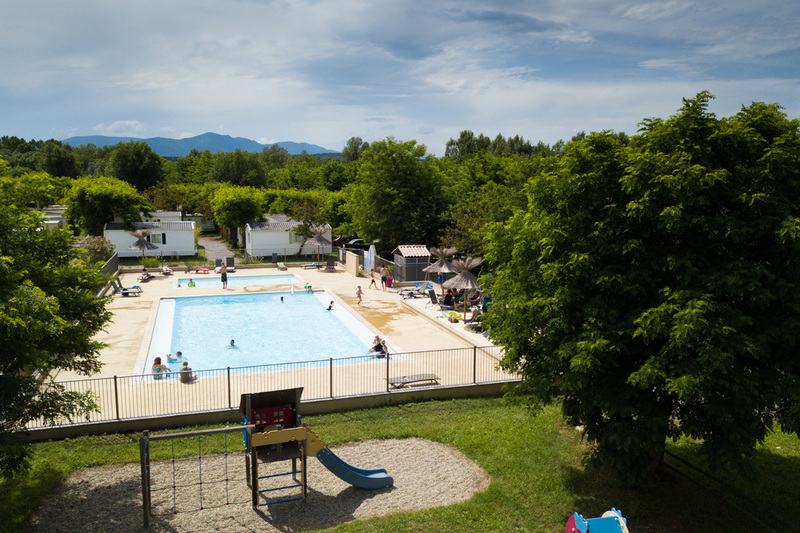 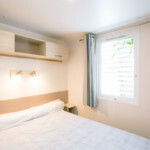 The rental rates for mobile homes in our campsite are adapted to the number of people. 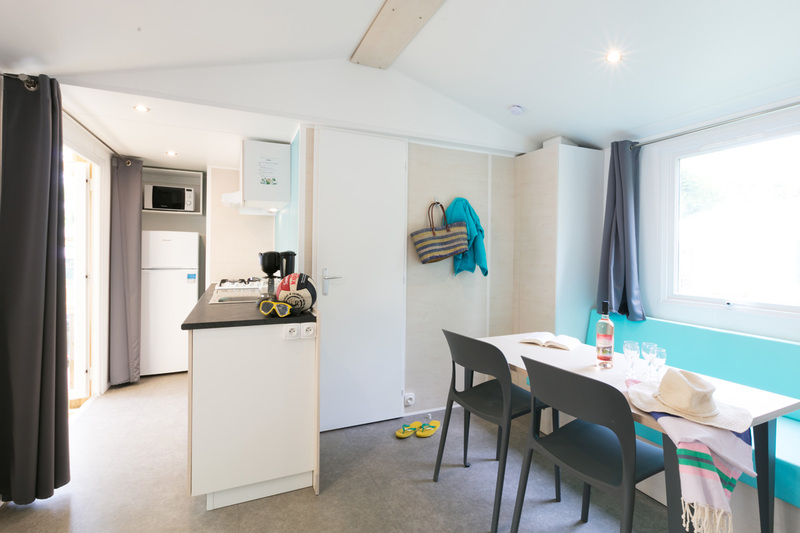 In high season, the rent of mobile homes is weekly made, from Saturday 3 pm till Saturday 10 am. 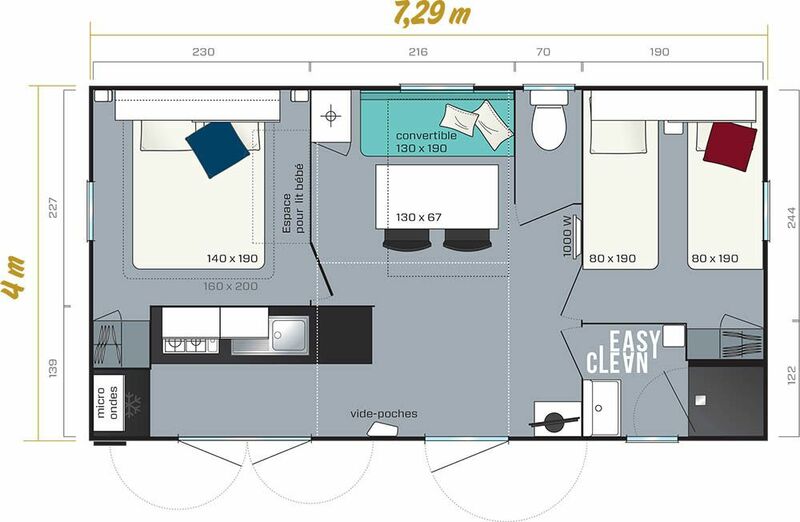 Deposit: 30 % of the total amount will be paid at the reservation. 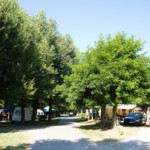 The rest of the total amount will be paid at your arrival at the campsite. 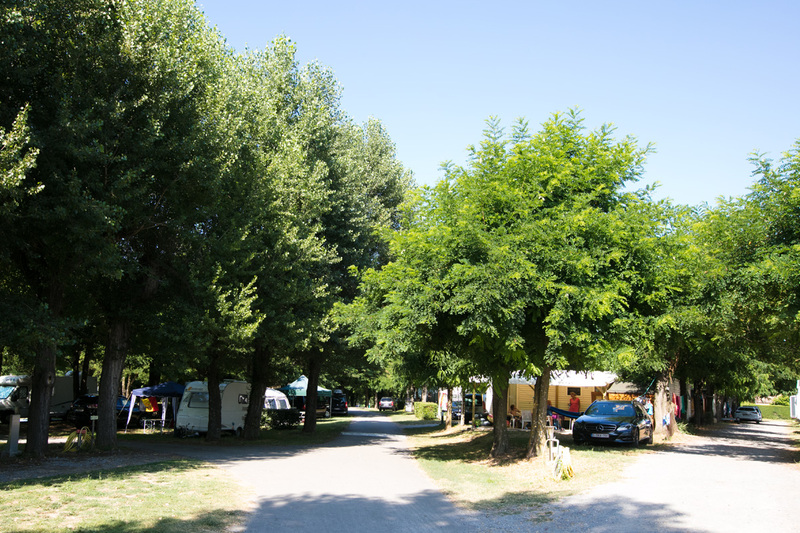 A bail of 150 € (returned after the inventory at the end of your stay) will be required on the day of arrival.